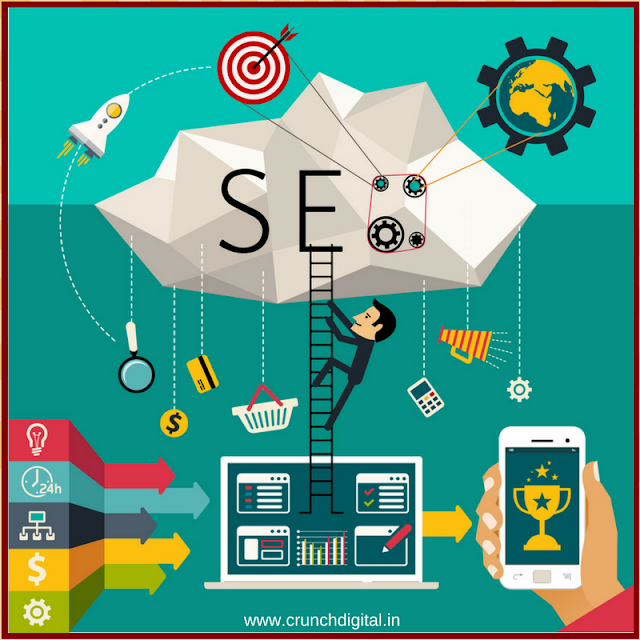 There are many SEO methods out there to increase search rankings and organic traffic to your website. Here are the three essential DO's you can start doing today. Frequently updated website content offers search engines fresh content and sources of new information for their search requests. Simply put, if you update your site often with high-quality content, search engines will love you for it. All of the content on your site should be unique and provide high-quality information that your audience is looking. Webmasters shouldn't be creating additional pages and content for the sake of getting more pages indexed – each page needs to offer something different, unique and relevant to your audience. Major search engines including Google will devalue a page if the content is not relevant, or if it's not unique and appears on other websites first. It ensures that individual content creators gain the credit they deserve. One way of providing regular unique content is by using a blog. Focus on creating posts around a keyword topic that is relevant to your industry. These posts can help you increase your organic traffic (blog posts can rank well) as well as provide Google with the high-quality content to offer to searchers. Currently, a positive UX provides an indirect (but consistent) benefit on where a website will ultimately rank. Problems with the User Experience could prevent businesses from reaching their potential in the organic search results and can also repress your conversion rate. Take a look at our article here on how an active UX can help increase conversions on your website. If users visit your site & spend time engaging with your content and even come back again, consideration of all these metrics comes within Google's ranking algorithm. The websites that provide an excellent UX with quality & appropriate content, innovative design with a clear, structured navigation, are the kind which visitors will be returning to time and time again. Be a step ahead of your competitors by focusing on local search, especially if you are a business that provides a local service. If you adopt a more locally-focused SEO blueprint, you're much more likely to appear higher in mobile search results when users are searching in your service area. In recent years, Google has cracked down on the strategies used to "cheat" algorithms. As they began focusing on quality content, UX, and relevance, they were able to remove spammers out of the search results and rank informative, relevant content to searchers. Spammy tricks never work in the long term and most of the time, not even for the near future. Google identifies the cause either manually or through an algorithm; when Black Hat SEO technique becomes more mainstream. They then update the algorithm to either disavow the technique or only penalize websites that are trying to utilize it. If you are caught using it, this means you could hurt your rankings. For example, you should never ‘stuff' keywords into any piece of content on your website. These keywords need to fit naturally into headings and copy on your site. Make sure you are careful when optimizing your pages as you don't want to receive a penalty from Google. Any links intended to manipulate a site's ranking in Google search results may be considered part of a link scheme and a violation of Google's Webmaster Guidelines. It can include any behavior that manipulates links directing to your site or external links leaving your site. Whenever you start with PPC (Pay Per Click) Ads, you have to keep in mind the business goal or objective for running the Ad Campaign. a.) 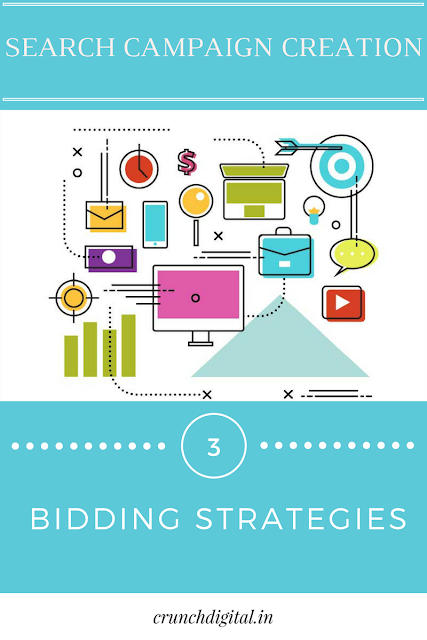 Automatic CPC Bidding: I personally recommend Automatic Bidding because it is simplest and most common. Set a daily budget & AdWords automatically manages bids to bring the most clicks possible. b.) 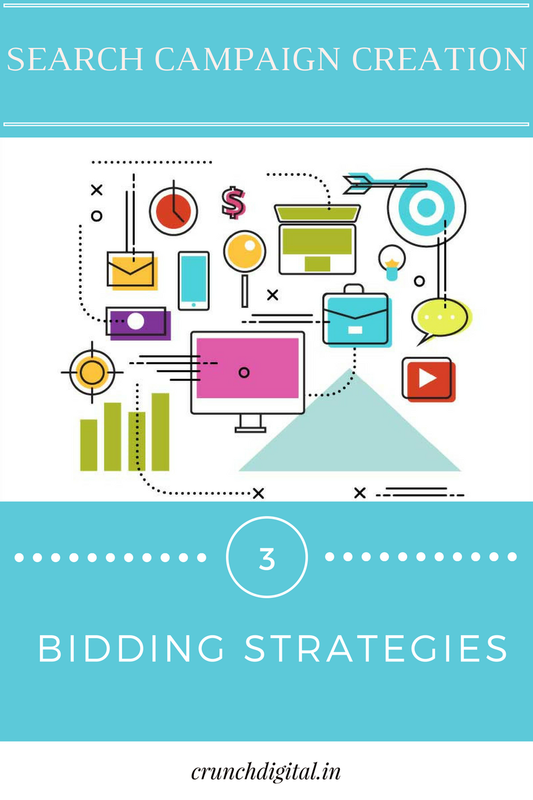 Manual CPC Bidding: It is the default strategy to manage max. Set different bid for each ad group in campaign, or keywords, placements. CPM Bidding focuses on visibility of ads to increase awareness about brand/product. I would suggest to make use of Facebook Advert instead of using CPM Bidding. CPA Bidding is used when campaign is direct-response related. For ex, campaign focuses on sign-ups or sales. b.) Campaign received at least 15 conversions in the last 30 days. c.) AdWords system requires this conversion history in order to make accurate predictions about future conversion rate. 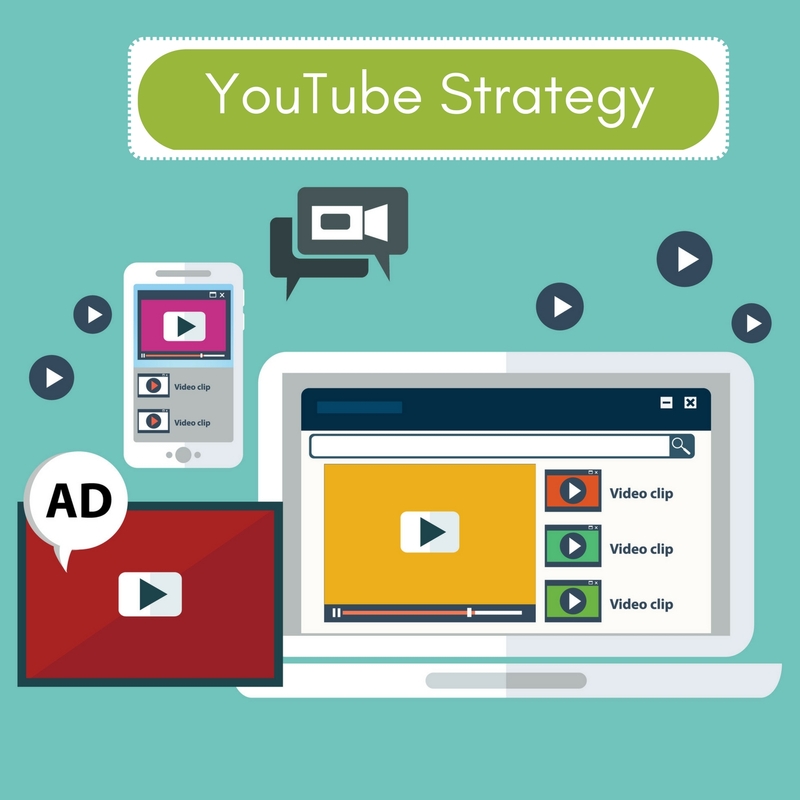 Well, I would like to conclude with this, Depending on which networks your campaign is targeting, and whether you want to focus on getting Clicks, Impressions, or Conversions, you can determine which strategy is best for you. In case you're not 100% positive about your Digital Marketing Strategy for 2017, then you have to stroll through the 4 stages in this article. These means are intended to guarantee you have the majority of your bases canvassed in your arrangement. The initial step is to survey your following. Do you have the vital following set up to quantify the adequacy of the greater part of your showcasing? In the event that you do, then skip down to step 2. 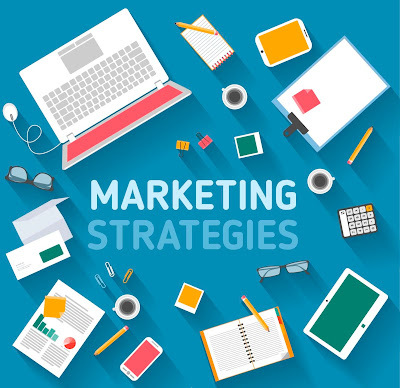 On the off chance that you have any uncertainty, then continue perusing on the grounds that there might be a few openings in your following that would keep you from settling on the best choices with your advertising effort. Could you track which advertising effort produced the lead or deal? In the event that yes, then you have appropriate following set up. Assuming no, then you are very brave to do. Kindly don't proceed onward to step 2 until you in any event distinguish where you require better following. At that point make it a need in Q1 2017 to connect the openings to your following. Else, you'll never know precisely what is working with your advertising and where you'll get the greatest blast for your financial plan. Step 2. What's Currently Driving Sales? This sounds like such a straightforward question, yet much of the time it is difficult to reply. Do you know precisely which promoting directs are driving deals in your business? In the event that you effectively finished stride 1, then you have the information to make sense of this. Once more, it depends on your business and how deals are produced. For instance, a 100% web based business can track deals by basically utilizing Google Analytics. That is on account of all business move through the site and Google Analytics can see everything that is going on the site. Be that as it may, if some of your deals are created by means of telephone calls or in-person visits, then you have to make this a stride further and utilize a framework to track your disconnected leads and deals. In particular, you'll require a CRM, client relationship administration device, or a spreadsheet to record the wellspring of your leads. At that point you'll have the capacity to run reports to see which advertising channels are really driving deals. Could you think about how you utilize this information in your advertising arrangement? To begin with, you'll need to allot some of your 2017 spending plan to what's now working. That is an easy decision. Second, you'll need to take out from your 2017 spending anything that has ended up being insufficient. Once more, I'm accepting you have following set up and can says with certainty where your deals are originating from. On the off chance that you can't, then lamentably you can't run this examination. Step 3. Can You Improve Conversion Rates? Now, you ought to have your following set up (or you're at any rate attempting to settle it) and you have a smart thought for which showcasing channels are driving deals. Presently it's a great opportunity to crush out much more deals from those showcasing channels! To press more deals, you need to expand your transformation rates all through the business channel. A decent relationship here is to think about a long hose that you would use to wash your auto or join to a sprinkler. What happens if the hose gets a crimp? Recognize and dispense with the crimp. The same is valid with your business pipe. You should first distinguish the crimp that is backing off your business change rates. This may be the business page on your site, or it could be the webform, or it could even be something off of your site like your business group. Notwithstanding your correct deals channel, the procedure is the same. Experience every progression all the while, ascertain your change rates between key areas, and after that work to kill the crimps. Step 4. Will You Increase Your Customer Value? This last stride is regularly disregarded while making a promoting arrangement. However, this one stage can without much of a stretch be the distinction amongst benefit and misfortune for certain advertising channels. One of our customers publicizes an item that is sold for about Rs.2000. On a normal month, the promotion battles we're overseeing create offers of that same item for a cost of about Rs.2500. Hold up a moment… Why is this customer OK offering a Rs.2000 item when it costs Rs.2500 in advertisements? The answer is found when you take a gander at client esteem. In this case, I just let you know the cost of one item. What I didn't let you know was that after this underlying buy, our customer offers extra items and administration, which brings about a normal aggregate client estimation of about Rs.3500. Ok ha! Presently it bodes well why our customer is eager and cheerful to pay Rs.2500 to offer a Rs.2000 item. What else would you be able to offer your clients after the underlying buy that would expand the aggregate client esteem? At that point once you have a response to this question, backpedal to step 2 to check whether there were any unfruitful promoting channels that would have been productive on the off chance that you had a higher client esteem. Those are the channels you can now retest once you've expanded your client esteem. You now have the 4 stages to make your 2017 digital marketing strategy. If you are considering to boost your paid search performance without working late in the office or increasing your budget, try applying Ad Extensions. Not only do they require minimal set-up time, they are displayed at no additional cost. v Sitelink Extensions allow you to advertise additional landing pages below your standard ad text. v Applying a few lines to your ad gives you more realistic on the SERP, assisting your ad to stand out against your competition. v Sitelinks also allow the searcher an opportunity to go to a more precise page on your site. v Google has proved that adding sitelinks to your ads boost your click-through rate, even if people aren’t clicking the sitelink links! v Call Extensions allow you to integrate your phone number in your text ads. v It helps making it easier for customers to contact you directly. v Depending on the device, the extensions will be presented differently. v On desktops and tablets, your phone number is applied alongside your text, whereas on high-end mobile devices, your ad will contain a “call” button. v In addition to it also helps to view more extensive call reporting metrics. v It allows you to incorporate your business address and telephone number into your ad. v Don’t worry, you don’t have to waste any of your valued ad space! v The location extension adds an extra line to your ad & often contains a map reference. v You can add multiple addresses by associating your account to Google My Business. v On average, ads with location extensions see a 10% boost in click-through rate. v App extensions allow you to connect to your mobile or tablet app from your text ads. v People click either on your ad headline/ on a link to your app. v This is a great way to cater access to your website as well as to your app. v If your primary aim is to drive app downloads, app promotion ads (which connect to apps exclusively) might be the better option. v You can add app extensions to accounts, campaigns & ad groups. v You can build mobile-optimised app extensions to show on mobile devices or render specific app extensions on the devices that you choose. v If you create an extension for each app store, they will show the store link that corresponds to the customer's device, so someone on an iOS device will see your Apple App Store link. v Adding app extensions to your ad is free, but any clicks on the app extension will cost same as clicks on the text ad (a standard CPC). v How to set up an app extension? v If you have all of the items above, you can add an app extension to the ads in your account, campaign or ad group. v The character limit on Review Extensions is 67 & that includes the name of the publication. v A review extension must be an accurate, credible, non-duplicative third-party review of the advertiser's business. 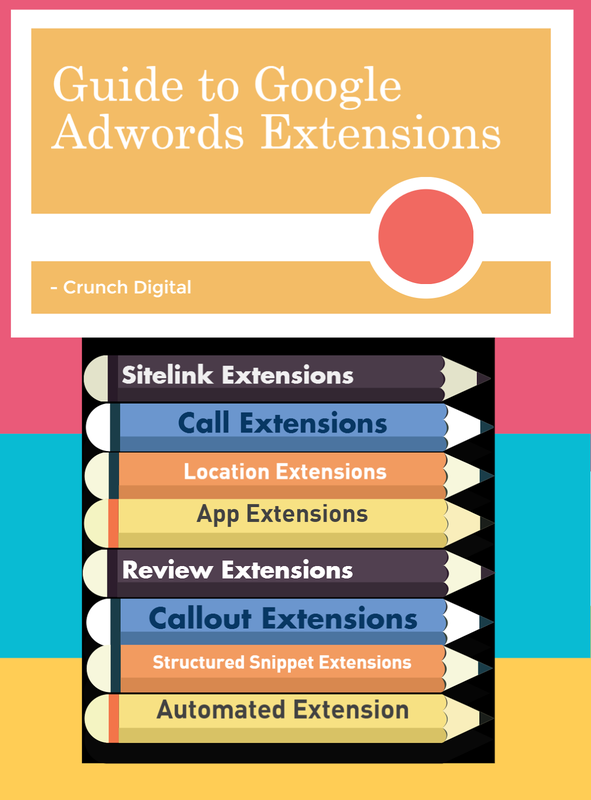 v Like the rest of your ad text, your review extensions must observe with all AdWords policies. v Review extensions also are accountable to additional requirements described here. · Callout extensions allow you to incorporate additional descriptive text in your standard text ad. · The rules that apply to text ads generally apply to callout extensions, too. · Your callout text can't involve the following: exclamation marks, punctuation at the beginning of the text, repeated punctuation or emoticons. · They don't allow duplication or repetition of callout text with other callouts, ad text, or sitelink text within the same ad group, campaign or at the account-level. · You can't use the keyword insertion feature within your callout text. · Callouts must be "family safe." · Any callout that contains "non-family" or "adult" content isn't granted. 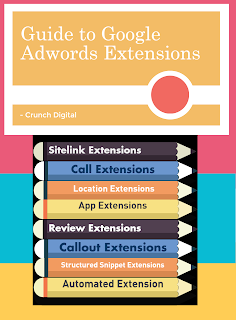 ¤ Callout extensions are similar to sitelinks, but without the links. ¤ Google recommends that advertisers use callout extensions to draw attention to unique selling points and important product details and benefits. ¤ You can feature up to 4 callouts in your ad, each limited to 25 characters each & must have at least two callouts for them to display. ¤ The use of extensions improves the performance of your ads (including click-through rate) & gives you an opportunity to stand out with specific messaging in the search results. ¤ Bonus: it doesn’t cost any extra. · Structured snippet extensions allow advertisers to describe features of a particular product or describe the range of products or services their business offers. · Structured snippets are subject to the same policies that apply to text ads & they must also meet the text, business & content requirements listed below. · Structured snippets must be "family safe." · Any structured snippet that contains "non-family" or "adult" content is restricted. · Structured snippet values must be relevant and match the selected header. · Note that structured snippet values that are not segment of the set defined by the header will be disapproved. · Values must not contain any promotional text and must comply with the guidelines listed for each header below.